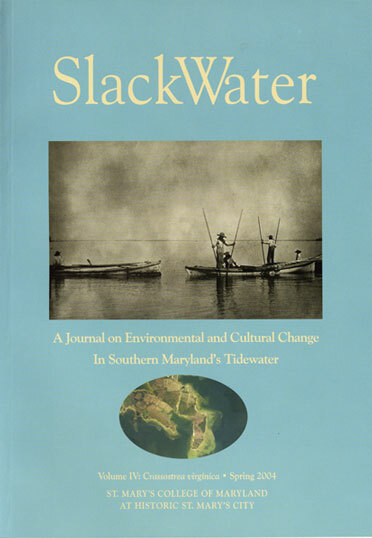 The SlackWater Center at St. Mary’s College of Maryland is a consortium of students, faculty, and community members documenting and interpreting the region’s changing landscapes. Oral histories are at the core of the center, which encourages students to explore the region through historical documents, images, literature, and scientific and environmental evidence. Some of this work is published in the print journal SlackWater, some of which is online and some published here. The work below was first published in spring 2004 in SlackWater Volume IV: Crassostrea virginica. It was written by Jennifer Abdella, an aquatic biologist, who at the time was the research coordinator for the St. Mary’s River Project at St. Mary’s College. Oysters are not the only filter feeders in the Bay — fish, other mussels, plankton, and other invertebrates also filter food from the water. However, not all filter feeders are created equal. Organisms have different capabilities depending on their anatomy — specifically, on how tightly their “filters” are spaced. Imagine a fine-toothed comb and a broad-toothed comb. The one with the fine teeth is obviously better able to catch particles in its tines. The same is true for the tentacles on oysters’ mantles. Like fine tines, they are able to collect very small organisms from the water, as small as 3 micrometers (approximately 1.20,000 of an inch). By contrast, the dominant suspension feeder in the summer, Acartia tansa, a species of zooplankton, cannot feed efficiently on cells less than 7 micrometers. Moreover, Acartia tonsa is unable to winter in the Chesapeake Bay because it gets too cold (Newell 1988). Oysters, on the other hand, live for multiple years, and in the spring, they feed on early spring algae blooms. Without the control of these algae and plankton by oyster populations today, harmful algal blooms and resultant fish kills frequently make headlines around the Bay region. The historical decline of oysters was principally the result of over-fishing. 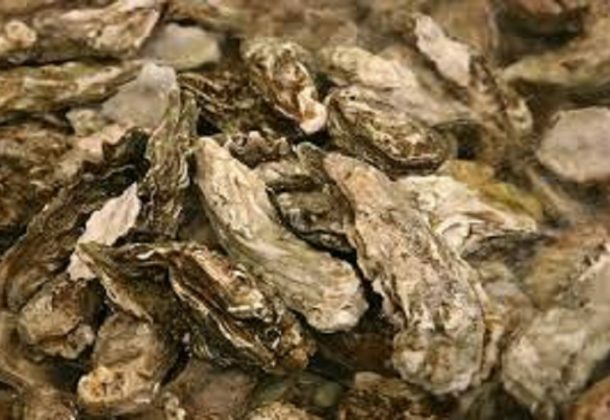 However, in the mid- to late-twentieth century, a second wave of losses to the Chespapeake oyster population was caused by two diseases, Dermo and MSX. These diseases hamper oysters’ abilities to grow and reproduce and have casued massive die-offs. The oyster’s ability to resist disease wanes when salinity is high, which means that disease is particularly problematic during dry years. One might wonder why resource managers don’t just focus restoration efforts in low salinity areas. There are two reasons. First, both MSX and Dermo are now distributed throughout the Bay (the result of an extended drought in the late 1990s through 2002 that allowed the range of both diseases to expand); there is essentially nowhere in the Bay that has no disease pressure. Second, oyster larvae (called spat) settle at much lower rates in low salinity regions. So resource managers face a Catch-22 in trying to rehabilitate self-sustaining populations of oysters: either disease pressure in likely to be high or recruitment of new oysters is likely to be low. Disease and over-fishing are not the oyster’s only woes. Development in the watershed generates excessive nutrient and sediment loads to streams and rivers, which carry those pollutants to the estuary. As the human population in the Chesapeake Bay swells, we face major challenges in reducing sediment and nutrient pollution throughout the watershed. Nutrients carried from runoff cause spring and summer algal blooms. When algae die, they sink to the bottom and the microbial community there goes to work decomposing the dead algae. As those microbes work, they use up all of the oxygen. Oysters, which cannot move to more oxygen-rich waters the way swimming fish can, can be killed by extended periods of low oxygen. On top of that, heavy sediment loads can suffocate oysters and bury valuable habitat, giving new spat nowhere to settle. Successful oyster restoration projects do exist in the Bay and have produced local improvements. The trick now is to extend those benefits to an entire large river system or even the entire Bay, an important first step toward ecological restoration of the most productive estuary in the world. Without successful oyster restoration, it is unlikely that the Bay will ever recover from its current state of disequilibrium. One thing is sure: the rehabilitating oyster populations will take time, effort, and long-term commitment.